Students in their final year of education are on a major crossroad in their lives. Like real hitchhikers, they try to catch new opportunities and make life-changing choices on a daily base. With over 300 IT-focused companies, the Cronos network is in constant search of interesting high-potentials to co-operate with. This can be done by the classic hiring processes, but why not be a little bit bolder? That’s how the hack-the-future-story started. Today, the idea escalated into one of the country’s biggest hackathons, which is not only famous among students, but also for the 20 Cronos - companies creating the challenges! At the 28th of November, 250 students specialized in creativity and strategy are invited to the event. 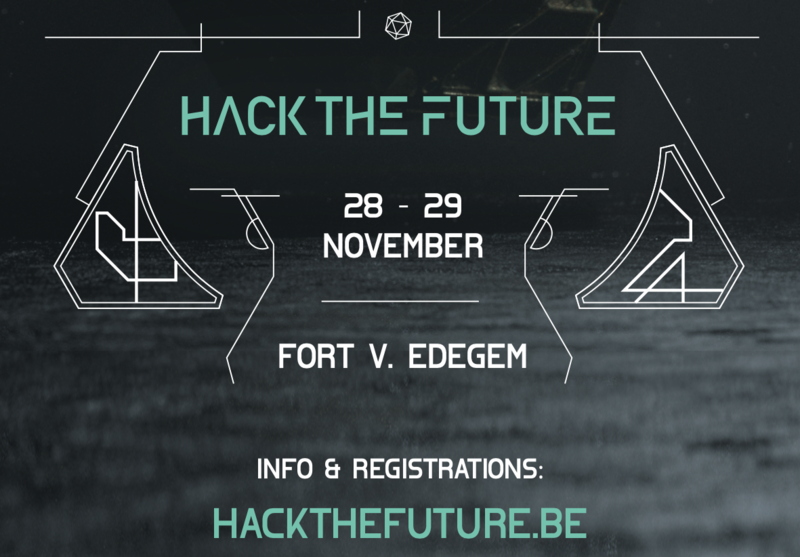 At the 29th of November, 300 hackers will join us at the fortress. Check out the freshly released website of this year: www.hackthefuture.be & get inspired! Local teenagers stumbled across a mysterious object of unknown origin while trespassing in an abandoned estate. Since then the area has been overrun by authorities, quarantined and deemed off-limits to civilians. You are part of a meticulously selected team charged with solving the riddle of ‘the artifact’, but time is limited as various organisations around the world lobby for their chance to uncover whatever secrets might lie inside. Our only clues are strange hieroglyphs on the surface and sporadic signals emitted from within. A huge amount of data is stored in the Artifact, ready to be explored. What secrets are hidden? What treasures can be discovered? The challenge consists of migrating the data from the Artifact, process and analyze the data in order to find the hidden secret that could change the destiny of human mankind.